I’ve gone through a lot of phones in my time, from being clumsy to a pickpockets dream and a mobile designer I’ve had more than my fair share. After doing some research it was easy to see that the Fairphone2 was the way to go. 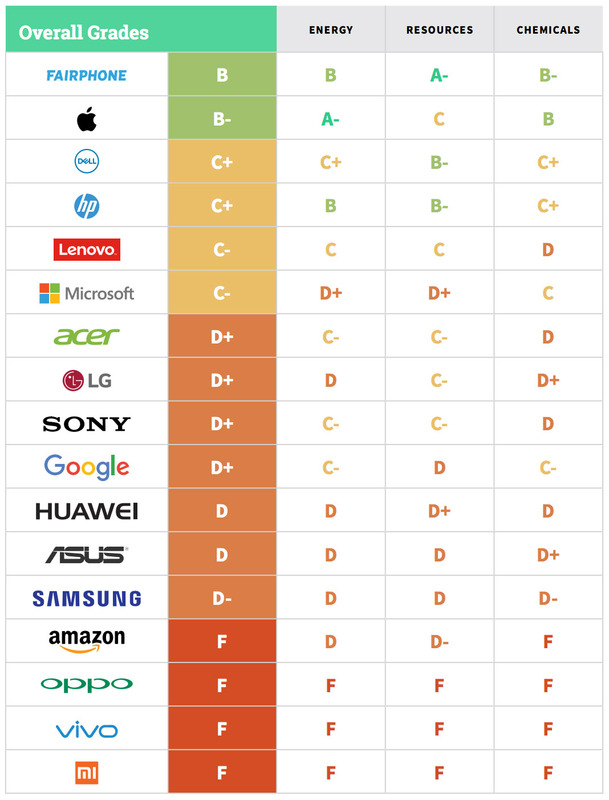 Since then Greenpeace has published a comprehensive guide on electronics (1) which show that Fairphone is still at the top of the list for their Green credentials. I was also massively relieved and very surprised to see Apple at number 2. As a designer, I have been using Apple computers and laptops since I could first afford one/got a graduate loan out in 2004. I’m aware that there are still some very problematic areas of the business and historically things haven’t always been as good but this looks like progress to me. Back to Fairphone: It’s a little clunky but it has a lot of charm. It’s taken a few knocks but still looks good as new. I love that it powers up with the message “Change is in your hands”. The phone is modular. Key components of the phone can be upgraded and replaced and the best part is: you can do it yourself. You can also carry around a spare battery. Anyone remember those days? No? Just me 🙂 I’m awaiting an order of a new camera module which now comes as standard. I’m looking forward to seeing how I get on with replacing it myself. 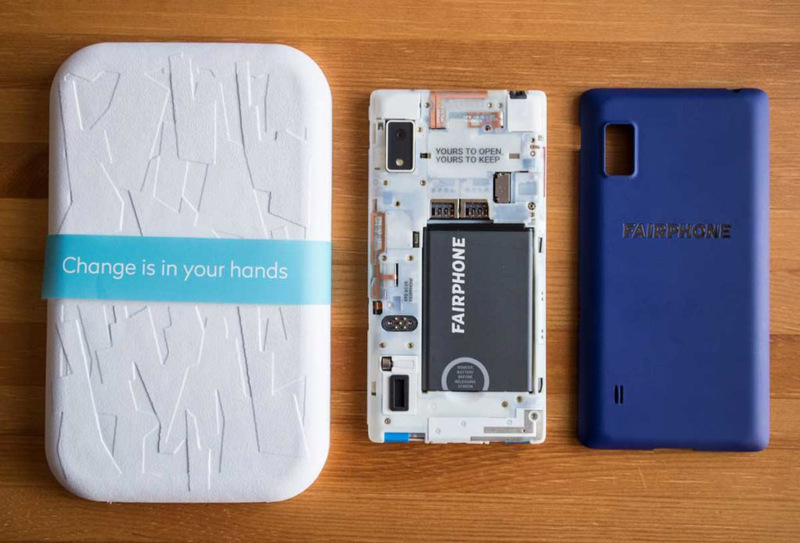 Fairphone supports recycling programs to “ensure valuable materials can be used again and again”. You can also buy factory refurbished phones to further reduce electronic waste. I got mine from here.